You are good at fashioning interiors and I really enjoy it when you do. 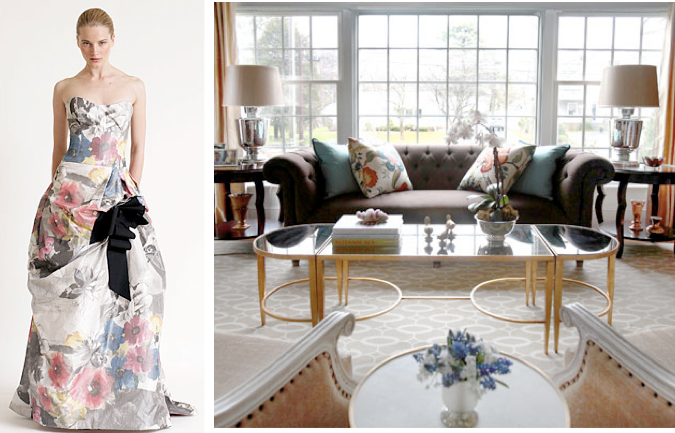 I love your concept of finding home inspiration in high fashion. Home ideas don't have to be found in other homes. Thanks! 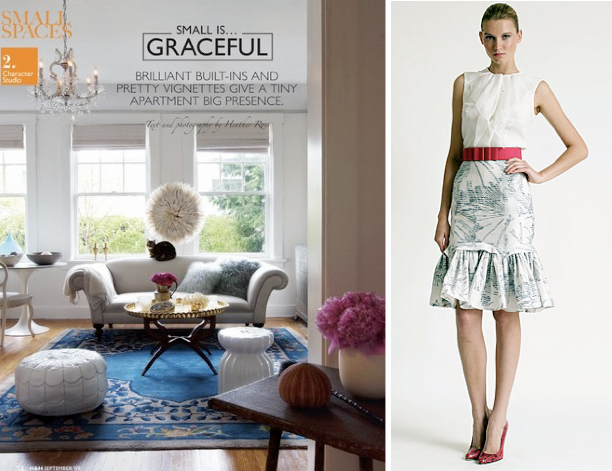 Small is graceful - I would love to read that article. Currently I live in a studio apartment and I find it sometimes difficult to make it look pretty and have a great presence. Great post! Fabulous post! I don't know how you come up with these great matches. Very talented indeed! I am in LOVE with these dresses!!! I just love this feature on your blog! And that flowered dress is perfection! wow! 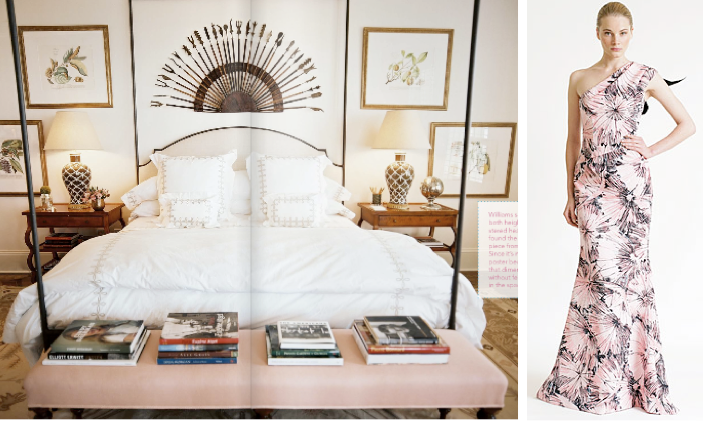 Really great clothes,loved how you paired each with a room! SO cool! I love the last combination, the high-waisted skirt and white blouse is stunning - and so classic. Beautiful pairings. Did you happen to see the 2nd week of this season's Design Star on HGTV? You would have rocked that last competition! I really enjoy it when you do. Fantastic. Fashion is art, inspires art and is mirrored in many art forms. The Herrera fabrics are extraordinary.